Marijuana growing in a home in Rhode Island for medical use. Congratulations Massachusetts, we just passed one of the worst pot bills in the country. Our Beacon Hill leaders should do what they didn’t do in the first place, which is steer this runaway train down the right track. The Yes on 4 campaign successfully tapped into voter sentiment on legalizing recreational marijuana, and the ballot measure passed comfortably with about 54 percent in support. Voters in three other states — Maine, California, and Nevada — also legalized pot by ballot initiative last week. Here’s the problem, which my colleague Joan Vennochi also warned about: This is a law written by the marijuana industry, and it’s got their best interests, not ours, in mind. 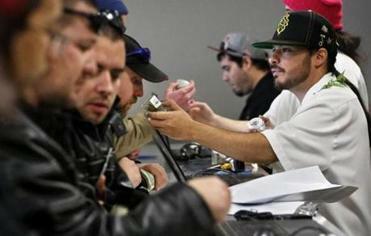 The path from Election Day to a full-blown pot industry is long and uncertain. Lawmakers now have the ability to go back and make amendments without undoing the will of the people. Proponents will tell you the Legislature had its shot to craft marijuana legislation and now it’s up to a new Cannabis Control Commission to come up with regulations. But why wait? This law, says Kevin Hill, a McLean Hospital doctor and author of “Marijuana: The Unbiased Truth about the World’s Most Popular Weed,” should be treated like a living document. In Colorado, the first state in the country to legalize marijuana, individual communities could vote on whether to allow retail marijuana businesses in their backyard. Seventy percent of towns voted to ban weed shops, while 30 percent, including the city of Denver, opted in. The Massachusetts law automatically allows pot shops, which are expected to start opening in 2018, in every town. Communities must now vote by referendum to keep marijuana shops out, and some mayors are already gearing up to do that. It’s local control, but not the kind we are used to. Even our medical marijuana law was more empowering, requiring a letter of support or of non-opposition from a town leader or governing body. The Legislature should rewrite the recreational marijuana law to mirror Colorado’s opt-in concept. It’s also what we do with casinos in Massachusetts and allow each community to vote on whether to legalize gambling in their backyard. Boston Mayor Marty Walsh, who campaigned against Question 4, worries the pot law as written doesn’t do enough to protect neighborhoods. 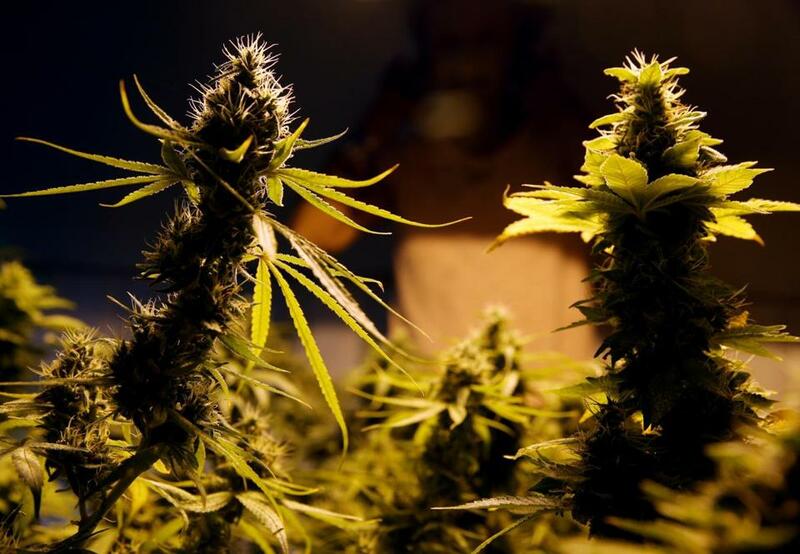 The Massachusetts law allows each individual to grow up to six marijuana plants at home for personal use. Colorado also allows for home growing, but Washington state, which also legalized marijuana, does not. Massachusetts Treasurer Deb Goldberg, whose office will regulate marijuana, is urging lawmakers to get rid of the home-grow provision because it could hurt the retail market and it’s difficult to enforce. In the last six months, law enforcement in Pueblo recorded 36 busts, up from one or two a year prior to marijuana legalization. The groups are taking advantage of the home-grow rule and then selling the marijuana illegally out of state. Proponents of Question 4 kept the tax on marijuana on the low side — up to 12 percent — to discourage the black market. Sales are subject to an excise tax of 3.75 percent, plus the general sales tax of 6.25 percent. Cities and towns can apply an additional sales tax of 2 percent. But our rate seems out of whack with Colorado and Washington, where effective tax rates range from 25 percent to 44 percent. I’ve called for a higher tax rate to ensure that we can cover the cost of regulating this new industry — from inspectors to additional law enforcement. State Senator Jason Lewis, who chaired the Special Senate Committee on Marijuana, has described the ballot measure as a “bad deal for taxpayers” and doesn’t think as written the tax revenues will cover what could be tens of millions of dollars in expenses to regulate weed. Borghesani, of the Yes on 4 campaign, wants to leave the issue of the higher tax rate to the Cannabis Control Commission. “If the regulators say we think the tax rate has to go up, it would be fine with us,” he said. One of the marijuana industry’s mantras has been to regulate marijuana like alcohol. That’s why the new law puts the state treasurer, who oversees the Alcoholic Beverages Control Commission, in charge of the new three-member Cannabis Control Commission. The treasurer make all three appointments. The better model is the Gaming Commission. To reduce the potential for undue influence on one office, the Legislature should create a commission with one appointment each from the treasurer, the governor, and the attorney general. Lawmakers should also consider increasing the size of the commission to five members to reflect the complex nature of managing marijuana. You’ll likely need to draw expertise from the following fields: marijuana industry, public health, law enforcement, agriculture, and policy. Even though Colorado is two years into legalizing recreational marijuana, it still feels like one big experiment. Some data points show no impact on youth marijuana usage; others show a spike. Initially, state officials found that marijuana-related traffic incidents declined after legalization, but now there’s an uptick. Massachusetts lawmakers should invest in collecting baseline data to fully understand the social, economic, public health, and public safety impacts of marijuana legalization. The data can be used to help mitigate problems such as addiction and drug driving. I once again point to our gaming statute, which set up a public health trust funded by casino tax revenue. When all the casinos are open, about $15 million to $20 million a year will be set aside to fund research and remediation to offset the negative impact of legalized gambling. A similar trust fund should be set up for marijuana.